When time is short and the budget limited, even the average property removal can seem like a mammoth task, nearly impossible to complete. If you are looking to even the odds and give yourself an actual chance of success, by all means get in touch with Removals Tooting and put our professional expertise, dedication and punctuality to work for you. We are an experienced moving company with many years in the industry. During this time we have gathered invaluable expertise spanning over all types of residential and commercial property relocations. This includes domestic removals, business and office removals, junk and rubbish removals, piano and furniture removals etc. In addition to these, and many other removal services we provide, we also offer a specialised packing service at a very good price. Extra protection of your belongings means extra peace of mind for you so don’t skip on packing – it is important. Optionally, customers can do their own packing, which is fine with us, in that case we will deliver the necessary packing materials to them. Transportation of your belongings will take place in clean, well-maintained removal vehicles of the appropriate size and load capacity. Generally, we maintain a fleet of specialised transport vehicles which allows us to be more efficient and flexible on all removals. All stages of the removal, that also includes prep work like packing, will be carried out by professional removals teams made up of specially trained movers. 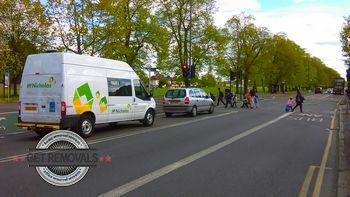 The removal teams are aided by experienced drivers who will ensure the swift and safe transit of your belongings. Our vehicles are specially equipped for heavy lifting and make use of satellite navigation systems. Cost wise, Removals Tooting can pride ourselves on having the most competitive and fair prices in the entire SW17 area. To elaborate, we don’t cut corners and we don’t mess around. All customers will receive fair quotes and custom pricing without any hidden fees or unmentioned charges. We top it off with excellent midweek discounts on all moving services. Our efficient and affordable removals will make moving places a breeze, plus you will have more time and money to run some errands or deal with other important admin aspects of the removal. Tooting is identified as one of the major metropolitan and commercial centres of the capital, which means there are plenty of services, amenities and facilities at your disposal. The area is well connected with central parts of London and its surrounding localities so you should have no trouble getting around using train or bus. Tooting has a large common, serving as the area’s park, the park also includes a swimming and recreation pool. Tooting has been, and still is home to a bunch of famous people ranging from political activists to professional footballers. The area also appears in many musical and written artworks from past and present.